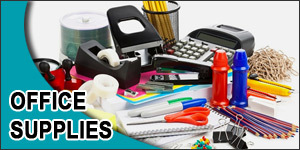 Get all of your office supplies and ink in one place and save money! Welcome to New Life Cartridges. We are a family run company that provides high quality office supplies, ink and toner products and office/printer services for our customers in West Michigan. Our clients include businesses, churches, school systems, medical facilities, and other organizations in West Michigan. Based in Shelby, we are proud to service the office needs of Oceana County, Mason County, Muskegon County, and the surrounding West Michigan area. Our goal is to provide the best quality office supplies and ink/toner products at a competitive price, while offering the best service to our valued customers. All of our products are priced to save our customers money compared to buying them at retail stores. We sell to any size company or organization, as well as to individuals, and provide free delivery to our local customers. Contact Us Today, and start saving money on all of your office supplies and ink and toner for your printer or copier. 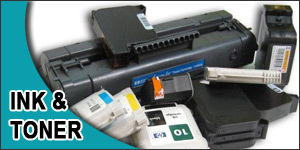 New Life Cartridges is a certified supplier of office supplies, OEM and replacement ink cartridges and toner cartridges for most name-brand printers, copiers, and fax machines. We provide ink & toner delivery, inventory maintenance, and printer servicing for clients throughout West Michigan, including the counties of Oceana, Mason, Muskegon, Lake, Newaygo, and Kent. Copyright © 2017, New Life Cartridges. All Rights Reserved.